I am not into bird knowledge but when visiting Fukuoka in early April I came across these big hawk-like birds that circled around the festival areas near the sakura blossoming trees. I noticed them in Uwajima as well and proobably some other cities as well. Hawks can not survive in town. I think what you have seen is called "Taka-kari(gari)" which is a historical natural hunting using hawks in JP. They also do performance as a bird show in front of audience. The master of hunter is called "Taka-jo", taka-jo" controls hawks and do hunting animals such as rabbits, fish, snakes, rats, pigeon/dove, ducks etc to prevent farm damage without using poison and guns. They also do airport security control at some selected airports to prevent bird strikes, hit with airplanes and birds. They have more than 4,000 years history. If people were watching the bird, that might have been the case (described above). But I know that the bird black kite live in the suburbs... maybe what you saw were these? I see them in places like Kamakura and nearby beaches. Were they circling above where there might have been, um, leftover food and stuff? They are not big, but when they are flying the silhouette is definitely that of birds of prey. I never get tired of watching them. You see heaps at Enoshima but I've seen smaller numbers (groups of 4 or so) at Takayama at the river, Hikone on Lake Biwa, and Karatsu on the water. Once, a friend was about to take a bite of her sandwich, her mouth wide open at a park bench, when a tombi grabbed it away from her hands. Yup, they love the city where people are. They're usually seen at places accessible from the sea. Sometimes TV dramas use tombi cries as sound effects to show that the set is supposed to be located near a port as opposed to the inner residential hills where more pigeon cries can be heard. most Japanese calling their nick "Tonbi/トンビ)" usual. They are most numbers(no rare) than other Hawks(鷹/taka)/Eagles(鷲/washi) living near woods/mountains. Often fighting Karasu/カラス(crows) for protecting own hunting area like this. In famous sea side Enoshima beach(near Tokyo) case, they take away human foods like crows. They learned in human out door parties/events are easy to get good foods. In Nikko and some other towns wild monkeys also do the same thing also famous. or remote islands far away from the land like Okinawa(not zero but very rare). BTW, why did you care about this bird? Or was it also seen in many urban areas? Or was it even looks like a delicious food or hunting target? 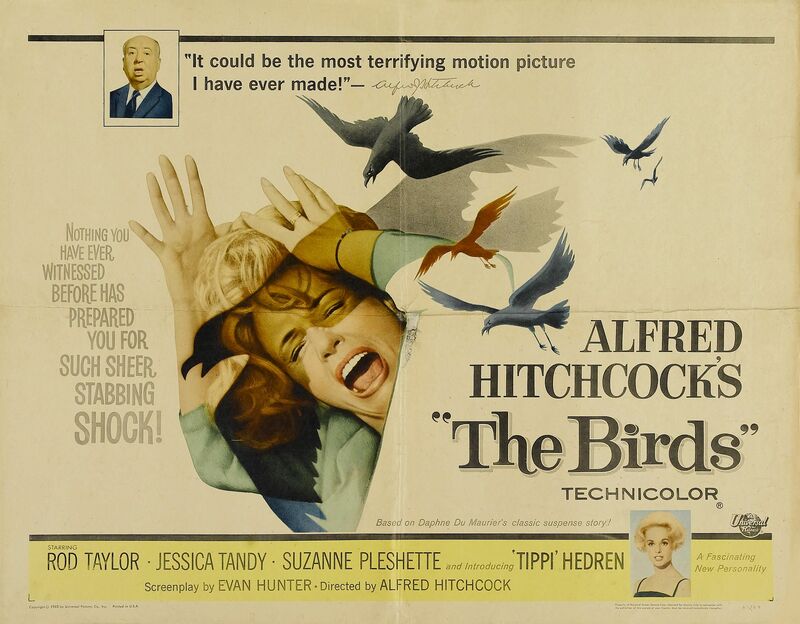 Or scared like a Hitchcock's "The Birds"?